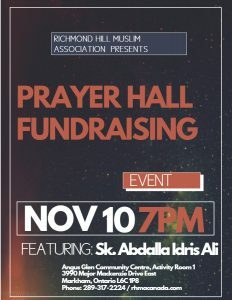 With the increase in attendees during our Friday Jumuaah prayers, the move to a bigger hall is required to accommodate our growing congregation. 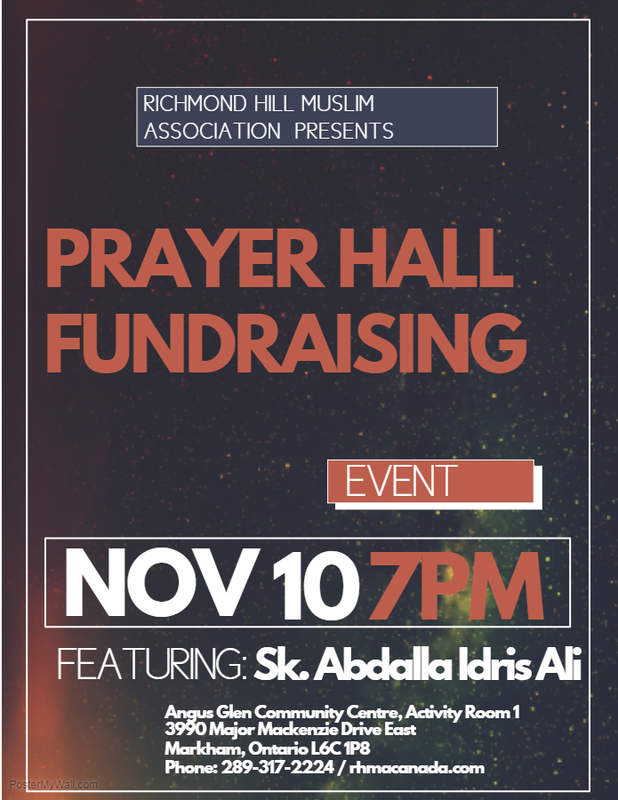 Please join us with your family and friends for our Fundraising event of the year to help with acquiring a full time prayer hall facility, Insha’Allah. Cost: Your financial and spiritual support to our event! Richmond Hill Muslim Association would like to make an appeal to please make an emergency gift to help refugees in Bangladesh by making 100% tax-deductible donation. We will be running this donation drive for the next 5 weeks. If you require a tax receipt for your donation, please get in touch with us. RHMA is looking for a visiting Imam to deliver the Friday Khutba on a rotation basis. Remuneration will be provided.